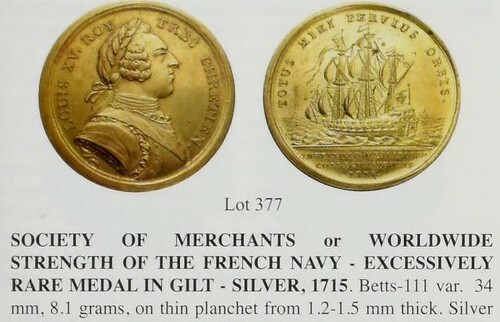 An NNP user recently searched for Betts-111, “Betts” referring of course to C. Wyllys Betts’ American Colonial History Illustrated by Contemporary Medals (1894), which catalogs 623 such pieces. John Kraljevich and Erik Goldstein conducted a related exercise at their recent ANA Summer Seminar course in colonial numismatics. Students were randomly assigned 3-digit numbers and instructed to prepare a 5-minute presentation on the Betts medal of the same number. We can report that this exercise resulted in several searches of the Newman Portal. In any case, Betts-111, the Society of Merchants medal by Duvivier, depicts Louis XV and is dated 1715. 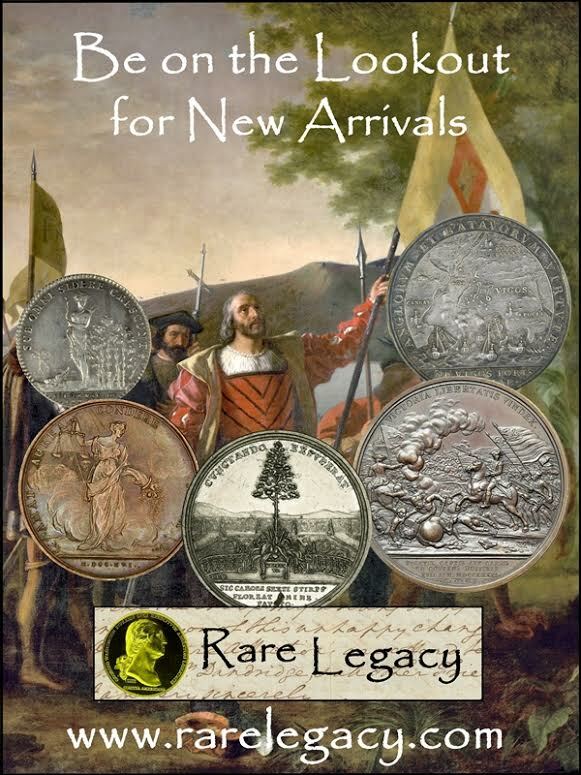 A search of the Newman Portal reveals but a single citation, in Joe Levine's Presidential Coin & Antique Auction #85 (June 2015), lot 77, where he cataloged a gilt silver example as excessively rare, and missing from the LaRivere, Ford, and Adams collections. Levine noted only two examples, this and another apparently in the Bibliothèque Nationale.